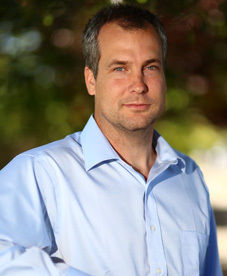 Steve is licensed as a Professional Engineer in Oregon and Hawai’i. His background covers all facets of HVAC, plumbing, and fire sprinkler system design. Since he first joined the engineering industry in San Diego in 2001, Steve has been designing and overseeing projects ranging from the biggest hospital in San Diego to the smallest restaurant kitchen on Maui, including the newest biology lab at the University of Oregon in Eugene. Steve is the guy in the office that everyone likes. His years on Maui have given him an appreciation for the Hawaiian concept of pono, or right action – something he tries to incorporate into all of his work. A lifelong surfer, Steve heads to the Oregon Coast on his days off with his wife Sky and their two children, Day and Tide. His other pursuits include crafting wooden surfboards and skateboards out of scrap wood, trying to grow tropical plants, and attempting to dig his limit in clams.